It ran 23 episodes and was not renewed. It never ran in syndication. Yet it has spawned at least two fan sites - and now, a third. What strange, powerful hold does this obscure television show hold over dozens of people on the internet? It was cool, and we were kids. 1. Overseeing the control room was the Penguin. Really: Burgess Merideth played V. C. R. Cameron, the boss of the operation. (So new were videotape recorders to the mass audience that we didn’t get the pun in his name - both of them.) He snapped orders and made curmudgeonly remarks, hunched over his controls like a turtle; he was warming up for his “Rocky” role as the old guy with plenty of moxie. 2. The Control Room was like methadone after Star Trek went off. It bore a small resemblance, too. It even shared some sound effects, too. When you’re a kid in 1972 you wanted to know there’s places out there were people are pressing glowing buttons and making computers do things; you just have to know this is going on. It's important that things turn out this way. Even though the computers of the era were nothing like the show, you figured that the real special guys had systems like these, or would soon. 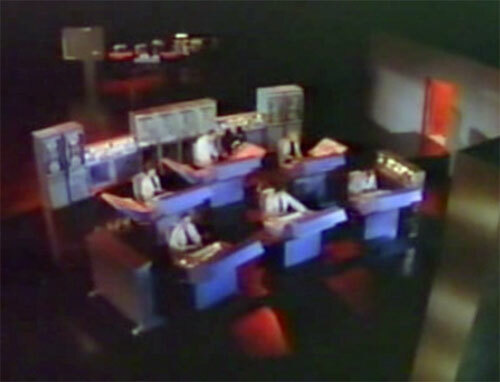 The show made the computer world of the future seem possible now, and presented computers in a way no other show did. 3. The agents were cool. 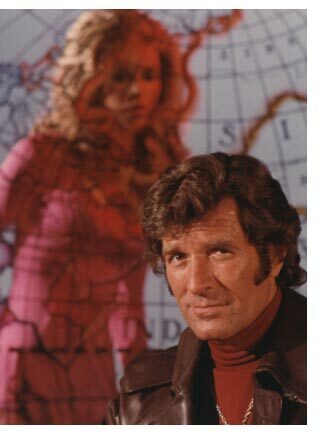 Everyone’s favorite was Hugh O’Brien, rock-jawed ladies’ man. There was Tony Franciosa as Nick Bianco - he handled organized crime elements, and seemed to have a slightly psychopathic smile. Last - oh, but not least - was C. R. Grover, played by Doug McClure, the inspiration in part for Troy McClure of the Simpsons. He was called in when things went wrong. These episodes, I seem to recall, had a more comic touch. Neither movie-star handsome or clever and slick, he was the Everyman. 4. We’ll get to that. I recently came across a batch of shows in various condition, and watched a few. Don’t get me wrong - they’re good! But not great. I don’t know if anything from that era was Great, aside from a few Kojaks. Those I can watch. 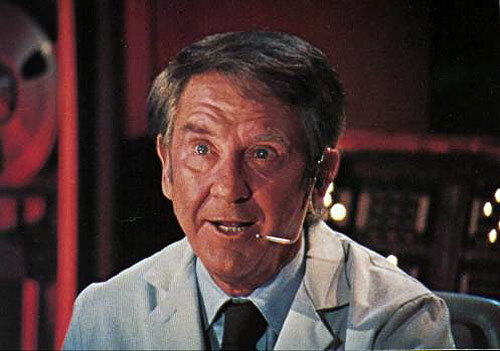 But I can’t sit through Mannix or the FBI or Cannon or any of it; they’re just TV shows, formulaic, with the fistfights in the proper spots, the character actors in brown suits, the miserable architecture of the day in the background of all the chases. It makes me feel like I’m sitting alone in the basement of a house in North Dakota again as a young teenager, the TV and its culture a window into a world that was - in the case of Kojak’s New York - grinding down to an exhausted halt. But “Search” wasn’t like that. “Search” had technology. That’s probably why I remember the show fondly - that, and the fact that it had my favorite TV theme of all. Twenty years after the show went off the air I could still hum it. Thirty-five years later I heard it again in a tinny wav, and it brought it all back. Click next to go to the theme. That's reason #4. It was just so 1973 perfect, and it still is.